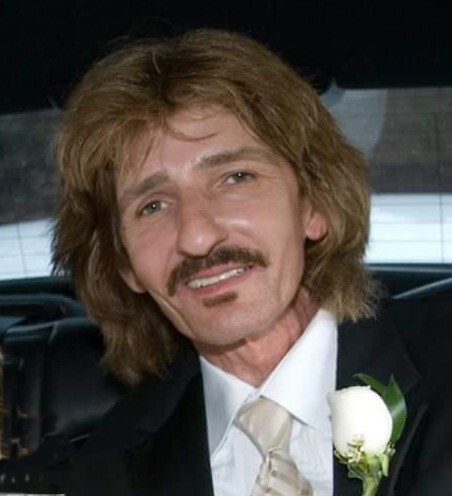 Michael A. Anderson, of Brighton, formerly of Chelsea, passed away on June 25, 2018. He was 57 years old. Michael worked for years as an HVAC technician, and he loved his work. He was a master sheet metal craftsman and took a great deal of pride in everything he did. When he was not working, he loved to sail, spend time with his dog Willie and his cat Junior, and what he enjoyed most was spending time with his family. Michael was the dear and devoted husband of Kathryn (Sabbag). Dear brother of Deborah Frye of MA and Judy Hines and her husband Michael of Texas. Dear cousin of Annette Nichols Stubblefield and her husband Richard of Arkansas. Dear brother in law of Elaine Sabbag, Abe Sabbag and Valerie and Bill Weir. He is also survived by many loving nieces and nephews. Visiting hours will be held Monday 4-7 p.m. at the Kfoury Keefe Funeral Home 8 Spring St. (at the corner of Centre St.) WEST ROXBURY. Relatives and friends are respectfully invited to attend. In lieu of flowers, donations in Michael’s memory may be made to the American Cancer Society.